"The sound is a nice balance for all general listening. Enough bass that drum and bass remixes sound excellent, but also not so much that it's over balanced when listening to something softer." 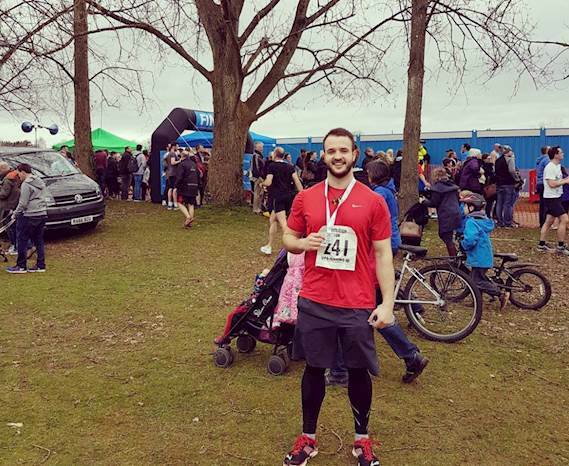 Kal Grimes is a Phd researcher and neurological geneticist from Bournemouth, as well as a running and music enthusiast. Kal was looking for a pair of wireless earphones with an impressive battery life that wouldn't let him down whilst training, and decided on the Optoma NuForce BE Sport3 wireless Bluetooth earphones. 1. How did you get into running? I was never really into sports growing up, though I took to the gym quite well when I was introduced by a friend. From then I figured it'd be really good to finally get into shape and started running for cardio, using advice from my dad who was already doing it frequently as a hobby. I've taken to it pretty well and really enjoy the feel-good factor of hitting a new top time or distance. 2. Is music important to you when training, and why? Music is really important to me when training, being able to zone out the surroundings (when safe) and focus on what you're doing is helpful. Different types of music can really help with motivation too, sometimes the right song can get you through that mental wall. Getting distracted won't help anybody, so it's better to get your head down and listen to something that gets you fired up. 3. Did you consider other earphones before purchasing Optoma NuForce, what swayed you? 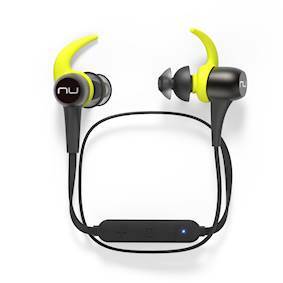 I read quite a few reviews of many of the bluetooth sports headphones, and Optoma NuForce was highly rated on a lot of websites. Some of the compared headphones which also did well were often in a higher price bracket, so these were a nice middle ground. 4. What earphones did you train with beforehand? I had a pair of wired Bose Sport headphones, and then a cheap imported bluetooth wireless set for a bit. 5. How did you find the fit and comfort of the BE Sport3’s? Initially the headphones did slip out a bit, though by playing with the multitude of fins and buds that they came with I have found some that work well for me. They're pretty comfy, and light too which is nice because they don't feel like they're constantly tugging on your ears. 6. How do you find the sound? I listen to a wide range of music, and the sound is a nice balance for all general listening. Enough bass that drum and bass remixes sound excellent, but also not so much that it's over balanced when listening to something softer. 7. Where did you purchase them from? 8. Do you use them for other things other than running (commute)? I have found that I'm using them around the office a bit, as they sound good and have a long battery life. Usually I have a standard pair of wired headphones for day-to-day use, but that might change now. 9. What do you like best about them? The battery life is really impressive, I mentioned I bought a cheap bluetooth set before that was needing to be charged after ever couple of training sessions. This set lasts way more than that, and its a convenience I didn't realise I would be so happy with.